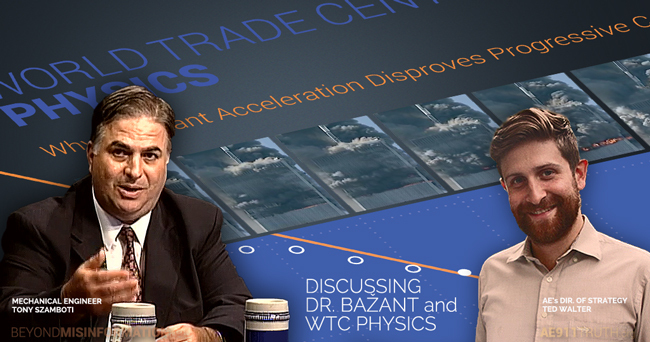 Tony Szamboti and Ted Walter join host Andy Steele tonight on 9/11 Free Fall to discuss the history surrounding Dr. Zdeněk Bažant’s propping up of the official story and the goals of the World Trade Center Physics mailer. Have a listen! If you haven’t chipped in yet, the next two days are your chance to help AE911Truth raise the final $4,000 of our $35,000 budget for the World Trade Center Physics campaign. Our cost-effective plan allows you to reach one engineer with every dollar you give. 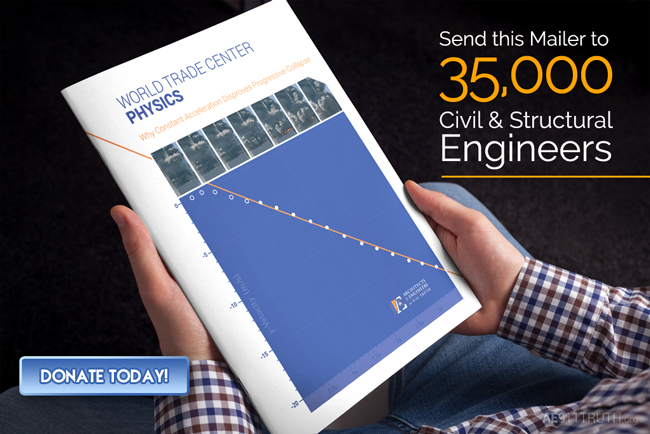 Plus, when you make a donation of $25 or more ($30 for non-U.S. residents), you’ll receive your own copy of World Trade Center Physics in the mail. A deeply heartfelt thank you to everyone for helping us mark the 15th anniversary of 9/11 with this tremendously important campaign.